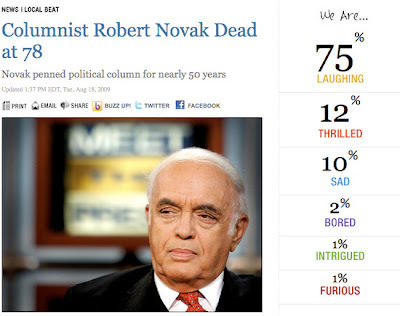 I almost asked this question the other day upon hearing of Robert Novak's death. Namely, how long before the vilification began. I'd just seen too many malicious comments from too many people about the man not to expect this kind of reaction. But it was nice of NBC to make it official.